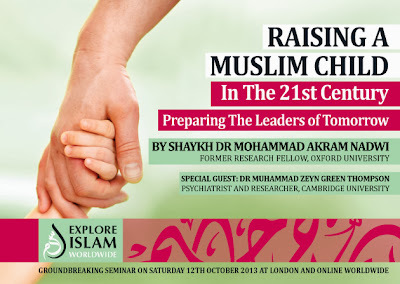 This is one of the most popular parenting seminars in the UK. The depth and the breadth of this seminar in unparalleled. So if you have not booked yet please do so immediately as this happening this Saturday InshaAllah and the places are filling up fast. You can still take advantage of the group discounts and also bring your teenage child (11-17 years) completely free of charge.